A journey behind the mask and into the mind of Gotham City's Caped Crusader, the Dark Knight who inspires fear in evildoers everywhere. Batman is one of the most compelling and enduring characters to come from the Golden Age of Comics, and interest in his story has only increased through countless incarnations since his first appearance in Detective Comics #27 in 1939. Why does this superhero without superpowers fascinate us? What does that fascination say about us? 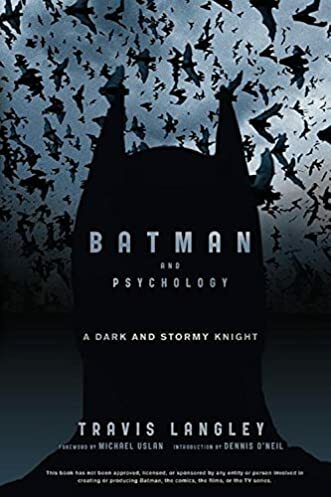 Batman and Psychology explores these and other intriguing questions about the masked vigilante, including: Does Batman have PTSD? Why does he fight crime? Why as a vigilante? Why the mask, the bat, and the underage partner? Why are his most intimate relationships with "bad girls" he ought to lock up? And why won't he kill that homicidal, green-haired clown? * Gives you fresh insights into the complex inner world of Batman and Bruce Wayne and the life and characters of Gotham City. * Explains psychological theory and concepts through the lens of one of the world's most popular comic book characters. * Written by a psychology professor and "Superherologist" (scholar of superheroes).